I also left some space in the case for a singxer f1. Now i use gustard du u8, but i do consider the singxer and i am thinking of providing it clean 5v. ricky007 wrote: Hello, do I have the onboard regulator removed? or is it enough to connect the power to PP9, PP7, PP5, PP8? I believe you should remove the regulator and the 2 inductors L1 and L2. I couldn't desolder so i ripped them with a plier. Not too clean, but it worked. dragos_nedelcu wrote: The low freq are a bit booming. Hope the effect will go with burn in. And, you will keep us updated of course, right? Now it sounds sweet. I fotgot about the boom. It is gone with burn in. Sweet is always good... and the boom has gone, good.... so all's well that ends well... good. Mezzanine Power board for Raspberry Pi. It should be good, but: you still have the 2 noisy inductors and the regulator on the pi. If you remove them and use this, it might not work. And the pinout of pi3 doesn't have 1.8v. is it possible to run rpi 3b+ without 5V -I don't need it.. Thanks for the instruction. 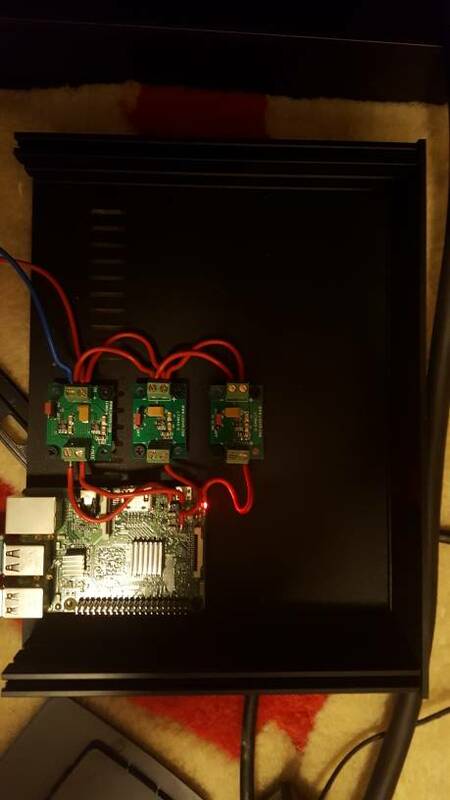 A late comer here who modified a RPi3 model B with linear PS for 5V, 3.3V & 1.8V. The audio improvement is enormous! More dynamic, more power, more details, more engaging! I am extremely happy with it. Now someone mentioned about the C97 / C98 capacitors modding behind the USB unit. I am eager to try it out and like to know in detail what to buy and how to install it. I am a fresh DIYer and hope someone can help me out. This is a 3x power supply for my Pi3 after removing ic smps .